When people come to The Salvation Army seeking food, shelter, or emergency financial assistance, they receive an application to fill out. Included in the application is a voluntary questionnaire that includes just two questions. 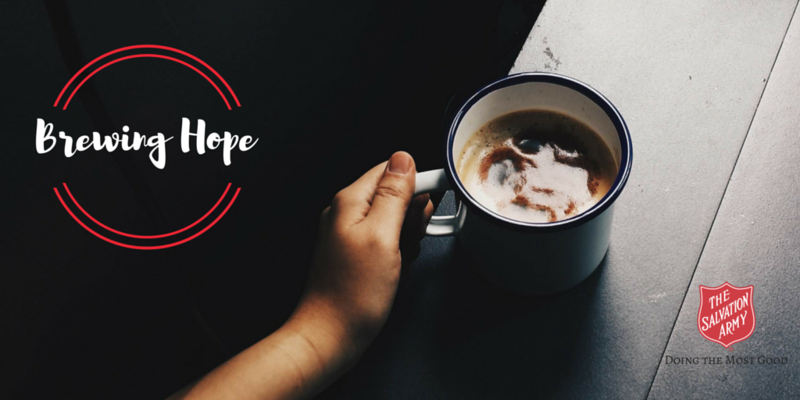 Our ‘Brewing Hope’ series will give you insight on what assistance men, women, and children in need are seeking when they come through our doors, and what it means to them to receive a hand up and a sense of hope in their time of need. What brings you to The Salvation Army for assistance? My household income decreased. What does receiving assistance from The Salvation Army mean to you? I am grateful for the assistance, and to have the opportunity to continue to provide without my grandson knowing what it is to not have. Thank you for supporting the programs and services of The Salvation Army, so we can help people find the hope they need to face another day. Visit our Volunteer page or Ways to Give page for more information on how to get involved.